Day Three took us past the Mississippi River and into Middle America. The scenery changed instantly – flat ground for miles and miles, and strong gusts of wind that you could feel moving the car back and forth slightly. Hints of an upcoming ice storm that we were going to hit. 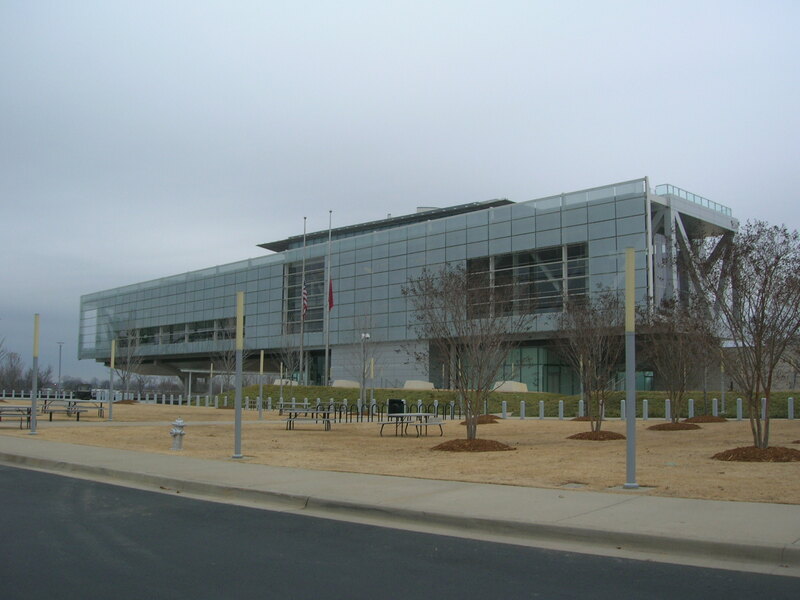 Our only stop today was at the Clinton Library in Little Rock, Arkansas. This building was pretty much the only reason for stopping in Little Rock; it was a lengthy horizantal glass structure right next to an old bridge over the Arkansas River. Inside was a number of interested artifacts from Clinton’s presidency, including a replica of the Oval Office. The Library itself was on the top floor and for those really fascinated by the man and his legacy. For the general public, there was a museum-like showcase of the important things that happened during his time as President, including a rundown of major events in each of his 8 years. There were some light-hearted pieces of memorabilia, including a picture of his cat Socks, and his collection of saxophones. Tomorrow is Day Four, our first day in Texas. As I said before, we ran into some weather issues, which delayed our plans a bit. Check out the site tomorrow to find out more.